The European Journal of Oriental Medicine - How Long is Too Long? Hardly a week goes by these days without an article appearing in the press about acupuncture and IVF. Practitioners certainly report an increase in the number of patients seeking their help to conceive. Here, Katie Scampton demonstrates the ethical dilemmas and emotional rollercoaster that accompanied one particularly difficult case – for both patient and practitioner – and asks when, if ever, should one admit defeat and stop treatment? Claire had been trying to have a baby for three years. A tall, slim solicitor, she was desperate to conceive, despite being a little concerned about her age. She had had no pregnancies and had already had four unsuccessful attempts at IVF when she first came to me. To prepare for a fifth attempt, she decided acupuncture might help her stay calm and improve her chances of success. When we began, her FSH (follicle-stimulating hormone) was slightly high at 10.4, an indication that her egg quality was starting to decline due to declining kidney yin and jing. I wondered whether all the drugs she had taken in her previous IVF attempts had been the cause. It reminded me of a patient who had had repeated attempts at IUI with donor sperm (over 16 attempts) – sometimes with, sometimes without the stimulation of Clomid – whose FSH levels suddenly rose dramatically and she was recommended to seek egg donation. There were other possible contributing factors, too. Claire’s partner had a low sperm count (but did not want treatment!) and she showed ‘signs’ of polycystic ovaries. She had also had a scan six months previously and had been diagnosed with a small fibroid but her specialist wanted to leave it believing it was not large enough to affect implantation. As always, and especially with IVF patients, I really wanted to help Claire but I did feel under quite a lot of pressure and was anxious that four previous attempts had been unsuccessful (I was aware most IVF successes are within the first three cycles (Lyttleton, 2004:368)). However, I reminded myself that I also had Chinese medicine, with its rich history and practice, at my disposal and decided to proceed. The challenge to make the right diagnosis and treatment plan was on! When I first met Claire, I had been immediately struck by her pale appearance and the dark rings under her eyes. A pale tongue, 33-day cycle, and vegetarian diet indicated that the chong and ren were not flourishing due to kidney and blood deficiency. Her periods had started at age 17, which was another indication that her kidney energy was weak. At age 38 her jing was naturally declining and this was also reflected in the FSH level. She was also prone to stress, anxiety and worry which was affecting the heart and the liver. If the heart qi was not communicating to the uterus (via the bao mai), it could certainly affect the uterus and ovulation. Claire had no fertile mucus and was not sure whether she was ovulating every month. A lack of free flow of qi and blood, especially from the liver, had resulted in painful periods before going on the pill and since coming off the pill, as well as a fibroid. I was sure that a long history of being on the pill contributed to this. 1 Menses (day 1-4) – aim to regulate qi and blood. 2 Post-menstrual (day 4-12) – fill chong channel, replenish yin and blood to rebuild the uterine lining for the embryo. Also nourish yin to nourish the egg ready for ovulation. 3 Ovulation (day 12-16) – regulate qi and blood and start to reinforce yang to stimulate maturation of egg. 4 Post-ovulation – keep uterus warm by warming and boosting kidney yang. Unfortunately only two eggs were collected. One successfully fertilised and was transferred but resulted in another failed attempt. This was devastating for Claire, who decided to take a break for a few months before trying to conceive again. When she returned three months later I wondered if I was going to be able to help, and questioned myself again whether I should try. This would be her sixth attempt at IVF. This time she decided to have a three-month career break to build up her health and strength and adjust her lifestyle and diet. I thought this would be of benefit and so decided to try to help her again, following a similar protocol of seeing her weekly at key stages of her cycle. I also gave her lifestyle advice from a Chinese medicine perspective. In April 2007 when she started IVF, to my surprise her FSH had dropped to 7.5 which was encouraging. She also responded well to the suppression drugs and decided to have PGS (preimplantation genetic screening) in order to only transfer embryos that were chromosomally normal to reduce the risk of pregnancy loss. Two embryos reached blastocyst and were put back. This was the first time she had made it to a blastocyst transfer. The success of the next stage, implantation, would depend on the uterine lining and the embryos. I felt more positive for her, especially a week later when there was a tangible change to her pulse that I had never felt before. When she sent me a text to say she had a positive pregnancy test I was delighted for her, forgetting that there was still a long journey ahead. For Claire, each week was full of anxiety. Every symptom she analysed convinced her that something was wrong. I did very simple treatments of Du 20 bai hui, si shen cong and P 6 nei guan to raise qi and hold the pregnancy and calm her shen, as recommended by Liang (2003). I did not dare do any points on the lower limbs for fear of moving too much qi. She arranged to have extra scans to alleviate her anxiety but the relief would only last a day before the fear and anxiety of miscarrying returned. 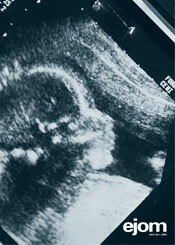 At her 12-week scan, she got the devastating news that her baby had died in utero at 11 weeks and I was dismayed. Her pulses had felt strong and slippery. How could life be so cruel? I immediately questioned what I had done. Should I have done some back shu points to nourish her blood to nourish the developing embryo? Had the use of Du 20 bai hui and si shen cong prevented a miscarriage only for her now to have to suffer a D&C (dilation and curettage)? Had the progesterone prevented a natural miscarriage? Several months later, Claire returned for her seventh and final attempt at IVF. We had three months to prepare. I felt I simply had to bring every advantage of Chinese medicine into play to try to sustain her and help her conceive and carry to full term. She was initially slow to respond to stimulation drugs but, by day 19, seven eggs were collected, more than in any previous cycle. For a second time, three embryos got to blastocyst – a promising sign – and two were transferred. They were good grades, the endometrium was a good thickness creating a nice bed for the embryos’ arrival and everything looked as well as it could. I followed the ‘German protocol’ just before and after transfer. Note: if a patient is only able to come over 24 hours after transfer I do not follow this protocol, instead I use Du 20 bai hui and si shen cong. Two weeks later I heard Claire had had another positive pregnancy test, but with suspected twins. I was delighted for her and treated her regularly for the first 12 weeks, then once a month thereafter. Once again, Claire analysed every symptom but the scans showed everything was looking good and she continued to grow bigger and bigger and bigger. I kept my treatments during Claire’s pregnancy simple with a minimum number of needles. Whilst I meet some colleagues who are reluctant to treat women once pregnant, I have found it to be very beneficial and often results in an uncomplicated, relaxed and short labour. Apart from high anxiety, Claire did not suffer from morning sickness during the first trimester which disconcerted her and contributed to her feeling it was not a strong pregnancy. I used Du 20 bai hui and/or si shen cong and P 6 nei guan to calm her shen and hold onto the embryo. I followed Betts’ (2006) advice and decided to avoid H 7 shen men due to it being a yuan source point, to avoid the possibility of drawing on her yuan qi at a time when it should be directed to the developing foetus. My treatments after 12 weeks continued to centre on calming her shen with points such P6 nei guan, yin tang, and sometimes I left a seed at ear shen men. I also used Kid 9 zhu bin at the end of each trimester for the baby. On occasions Claire arrived at clinic looking very pale and tired and at such times I had her lying on her side and needled Bl 20 pi shu and Bl 23 shen shu on the right side only, to nourish her blood. From about seven months she started to develop rhinitis-type symptoms so I treated her for this using yin tang, LI 20 ying xiang and Lu 7 lie que which was very effective. Her pulse always felt strong, slippery and rolling. Three months ago, after seven exhausting rounds of IVF, Claire gave birth to twins, Alice and Chloe, by Caesarean section. It was the end of a journey which, at times I’m sure, had us both wondering whether we should continue. Since the first IVF baby was born in 1978, there have been many developments in the practice of acupuncture-assisted treatment. But it still requires a considerable degree of determination and patience from both practitioner and patient. The pressure you feel under to help your patient conceive, and the tangible fear of failure experienced by these prospective parents, make it a field where the stakes will always ‘feel’ high. Fortunately when they come, the rewards are great. There is such an immense sense of satisfaction in sharing the joy of our patients-turned-parents. It is my hope that soon, practitioners will be encouraged to forge closer links with maternity wards and IVF clinics, integrating our practice more fully within the mainstream, where it certainly has a part to play. That said, acupuncture is not always the answer. We cannot help every patient, no matter how desperately we want to. So when, if ever, is the right time to give up? When treatment has repeatedly failed and you have exhausted all the viable techniques at your disposal, helping the patient look at other options is, of course, the ethical thing to do. But it will never be an easy call and I believe it is best if the patient makes it. You only have to look at Claire, one very happy mother of twins, to understand why. 1 The German Study on Acupuncture and ART (Paulus, Zhang, Strehler, El-Danasouri and Sterzik) demonstrated that acupuncture improved pregnancy rates during IVF – with 42 per cent of the acupuncture group pregnant within six weeks, compared to 21 per cent of the control group.